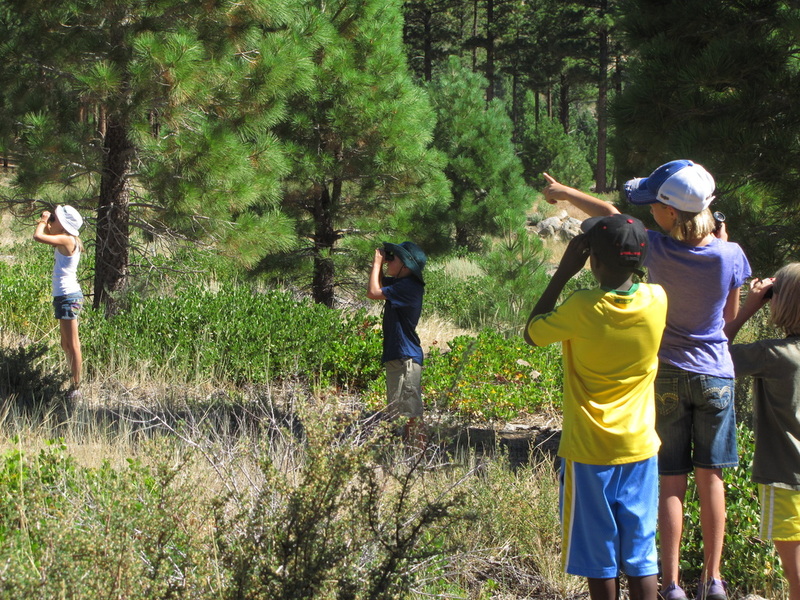 Great Basin Naturalists offers year-round outdoor education programs for students of all ages. Our team of Environmental Educators, plan and implement outdoor, educational activities which are designed in accordance with the Next Generation Science Standards. For many of our youngest campers and visitors, this is their first interaction with forest ecosystems. With that in mind, Great Basin Naturalists is committed to providing a quality outdoor experience that emphasizes both environmental science and stewardship, and making this opportunity accessible to all local children. We also offer the Teen Leadership Academy, which aims to develop leadership skills among teens by placing them as junior counselors in our exploration camps. If you are interested in supporting Great Basin Naturalists, you may find more information about becoming a partner here. "Given a chance, a child will bring the confusion of the world to the woods, wash it in the creek, turn it over to see what lives on the unseen side of that confusion. Nature can frighten a child, too, and this fright serves a purpose. In nature, a child finds freedom, fantasy, and privacy: a place distant from the adult world, a separate peace."